Primary health care (PHC) began as a solution to problems in the developing world and is coming to be seen as a profound challenge to medical attitudes the world over. 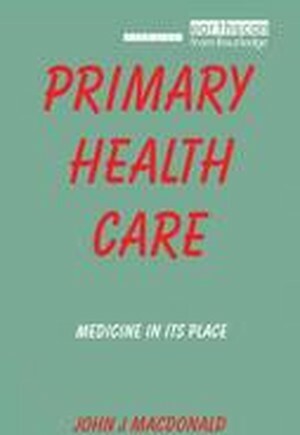 The book points to three issues at the root of PHC - universal availability of essential health care to individuals, families and population groups according to need, the involvement of communities in planning, delivering and evaluating such care and an organized active role for other sectors in health activities. It is pointed out although these principles may seem uncontroversial their introduction in developing countries has been far from smooth. When it comes to the north the principles of equity, participation and intersectoral collaboration have been resisted even more strongly by both planners and the medical establishment. By examining the lessons learnt from the developing countries, the author demonstrates the necessity to de-professionalize health. He writes at a time when resistance to PHC in the Third World is increasingly being based on dubious northern models for health care. This book demonstrates the way in which a strategy for survival in poor regions becomes a model for adequate and sustainable living everywhere.